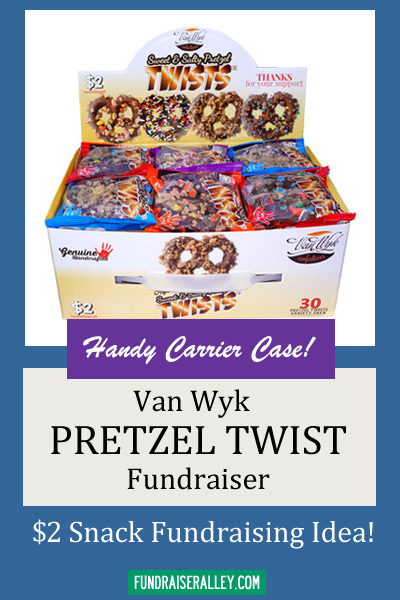 These Chocolate Covered Pretzel Twist, by Van Wyk, are a yummy fundraising choice. The handy carrier case is easy to carry with you or to set on a counter to show them off and tempt passers by. Each carrier box contains 30 bags of chocolate covered pretzels with various flavor toppings. There are 4 carriers in each case, with a 1 case minimum order. FREE Shipping! Make it easy on yourself, and take advantage of the order online option, or give us a call to place your order. These will be a big hit! The Pretzel Twist Fundraiser will earn from 45% to 50% profit. Price per case decreases with the number of cases ordered, meaning your net profit will increase if you order more cases. Each case can net up to $120. Order at least one carrier kit per participant. If you’re close to the next level, we recommend that you order high to take advantage of the lower cost per case. The selling price is so low, and these pretzels are so yummy, you won’t have any trouble making sales. There is a minimum order of 1 case. You can only order full cases. You will receive FREE Shipping, which gives you more profit. Your delivery should arrive in about 3 – 5 days. We can not ship these when weather is above 80*. 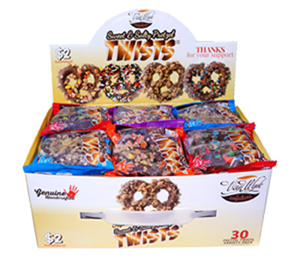 These chocolate covered pretzel twist are a great idea for any size group, from a small club to a large school. Everyone will love to buy a bag of these sweet and salty pretzels. 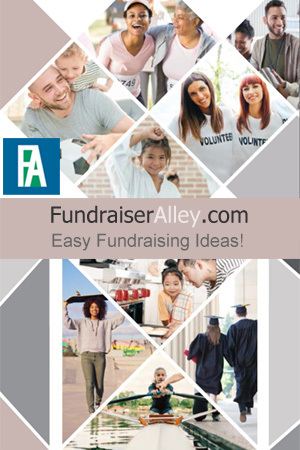 Sell at school, pep rallies, and sports, club, and church events. Be sure to offer them at your concession stand.